Finally back in stock! 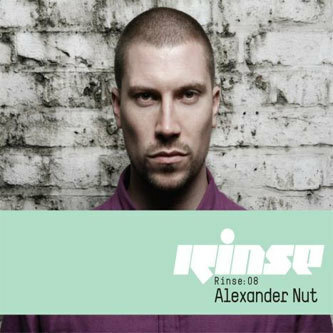 Rinse FM's hiphop and off-beat specialist Alexander Nut steps up for the station/label's latest mix off. Nut has made a name for himself covering similar sonic regions to 1Xtra's Benji B, blending all corners of the contemporary hiphop/soul spectrum into a glimmering prism of late-night beat futurism. The mix covers ground between Tom Trago's remix of O.Boogie's 'Paper Chaser', to hot picks from Waajeed 'Tron', Marco Polo 'Relax', Simbad 'Soul Fever', Bullion 'Get Familiar', Hudson Mohawke 'What Is A Girl To Do', Flying Lotus 'My Chippy', Joker 'Digi Design', Floating Points 'Peroration Five', to Pinch's 'Motion Sickness' and more from Pattie Blingh, Roots Manuva and 1000 Names. This series is turning into a first class documentation of the UK's tastes and flavours right now with prime pickers and mixing skills making them pretty much essential for all followers of the good stuff. Tip!